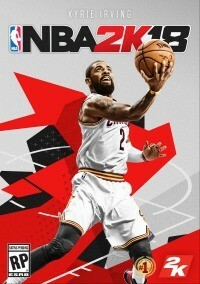 The publisher's 2K sports line has taken some criticism for cosmetic microtransactions. You can take your progress in the demo into the full game next week. Hands-on impressions of the game's all-new approach to the mode. Owners of the Nintendo handheld/console hybrid can look forward to a fully featured experience. Two sure-fire hall of famers lend their perspective on the game. Did your favorite players make the cut? Some fan requests are cracking the starting lineup this year. Whether you are already gaming on 4K consoles or still using standard HD, the graphical fidelity of NBA 2K18 is impressive.